A low-performing school in Waterbury is one step closer to turning itself around, thanks to a plan that includes extra training and classroom time for teachers. 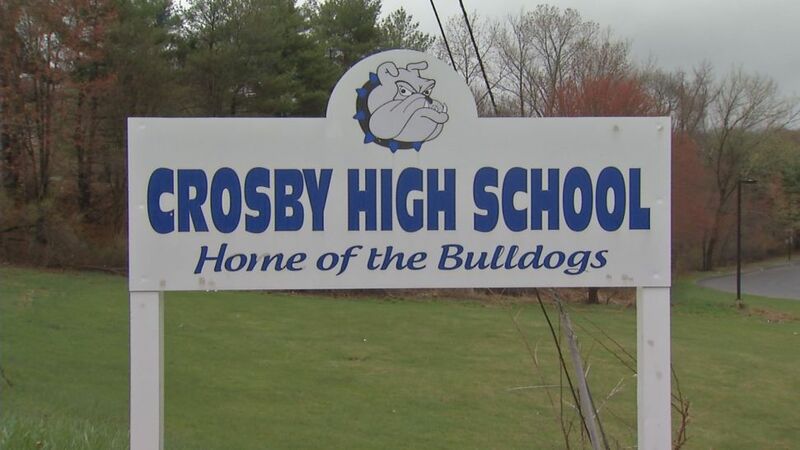 Crosby High School is one of two schools in Waterbury that are part of the Commissioner's Network, a project designed to improve about 25 of the state's lowest-performing schools. State Department of Education spokesperson Kelly Donnelly said the state just signed off on final tweaks to school's turnaround plan. The plan is designed to reduce chronic absenteeism, reduce suspensions and increase reading and math achievement, according to Waterbury School Turnaround Supervisor Paul Whyte. As part of a plan recently submitted to the state Board of Education, and now approved, the school aims to split into smaller academies starting with a ninth-grade academy next year. Freshman can expect longer school days next year, as classroom learning time will be extended by about 30 minutes each day at that academy and all teachers at the school will undergo additional training, something the Waterbury teacher's union has signed off on. The district is hoping state funding will cover the costs of the added teacher training and classroom time which is expected to be about $250,000 a year. They're hoping to add additional academies and longer class days for other grades in the future if state money is available. The Waterbury teacher's union is meeting with Crosby teachers about this plan on Wednesday.